Making decisions about what to do with your pet during the holiday travel season can be tricky as there are numerous factors to consider. VitusVet is here to help you navigate this challenge! 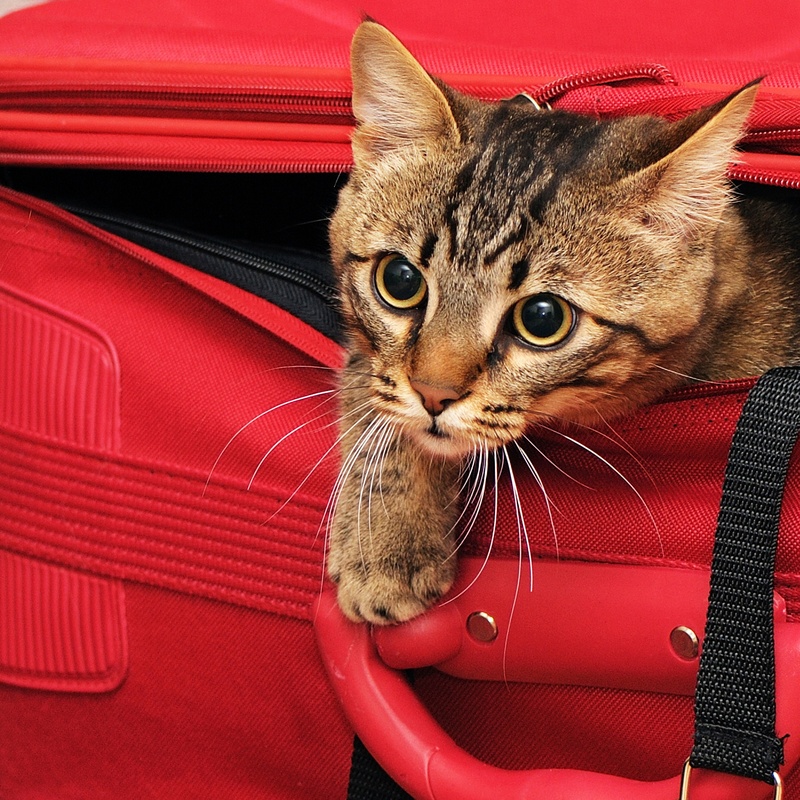 Should I Include My Pet In Holiday Travel Plans? Before making any travel arrangements, it’s important to honestly assess your pet’s behavior and needs. Then, determine how those things will weave together with your mode of travel as well as your accommodations once you arrive at your destination. Is my pet’s age, health, and temperament conducive to travel? Are the accommodations (both there and along the way) pet-friendly? What are the alternatives to bringing my pet along on my trip? Deciding to travel with your pet will require a good deal of planning and organization. If you plan to travel by airplane, call the airline first to inquire about the requirements for flying with a pet. You’ll need a current pet health certificate but don’t wait until the last minute to request one from your vet. If you’re not flying, it’s important to assess whether or not your pet is comfortable with car travel and, if not, then to take the appropriate steps to prepare him or her for the journey. If you’re traveling cross country, plan your route to include pet-friendly restaurants and hotels along the way, plus safe stops for walks. Having your pet’s medical records on hand in case of emergency is critical when traveling. With the VitusVet app, you will have access to your pet’s full medical records anytime, anywhere. Download the app before embarking on your trip, if you haven’t already. The VitusVet app also shows you pet emergency hospitals around your current location--a huge help when traveling. Positioning food and water bowls and litter boxes away from high-traffic areas. If applicable, keeping your pet in his or her crate while you’re away (this goes for pet-friendly hotels as well). If you’ve decided against bringing your pet on your trip, you will need to plan accordingly for his or her care while you’re away. For most pet parents, this means either a trusted pet-sitter or a professional boarding facility. The VitusVet app is the perfect tool for sharing medical records, medication dosage alerts, and other vital information with the party who will be responsible for your pet. From all of us at VitusVet, wishing you, your family, and your pet a safe and happy holiday season!